Starting in September, Harlem bred A$AP Rocky, and Los Angeles native Tyler, the Creator, will launch their collaborative tour properly titled, ‘‘Rocky and Tyler’’. 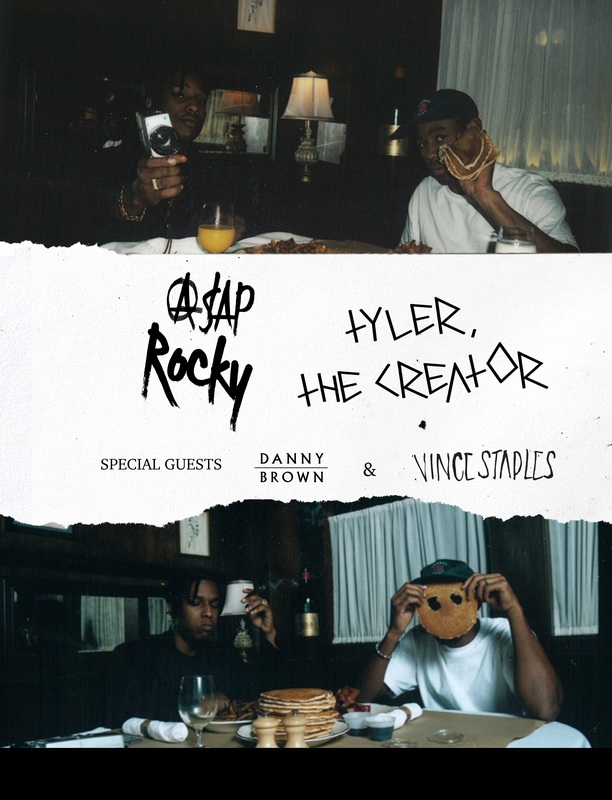 Instead of A$AP Mob and Odd Future tagging along, Danny Brown and Vince Staples will accompany as special guests. Considering A$AP Rocky and Hodgy Beats of Odd Future had some tension between them from shady tweets a few years ago, it might be best if the rappers posses didn’t attend. Both artists will be performing tracks from their latest albums and probably surprise attendees with some new heat. Currently only nine gigs are scheduled but more are to be arranged according to the tour’s website. As a fan of both rappers, I’m excited about the unexpected collab and for what’s in store. Previous Post Why is CyHi Sending Shots To “The Elephant In The Room”?